783, Avinashi Road, Near Thandumariamman Kovil, Coimbatore-641 018, Tamil Nadu, INDIA.Coimbatore. 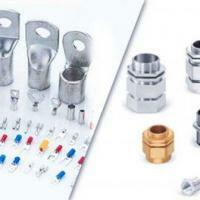 Mansi Traders is the prominent manufacturer supplier of higher quality Cable Glands And Lugs from Mumbai, Maharashtra. Shreeji Bhavan, 2nd Floor, Room No 2, 51, Mangaldas Road, Lohar ChawlMumbai.